My local mechanic (Ministry of Transport Foreign Auto Repair and Art Gallery in San Jose) often has a motorcycle parked out front. But I'd never noticed the attachment points behind the seat. Until one day, when they were being used. 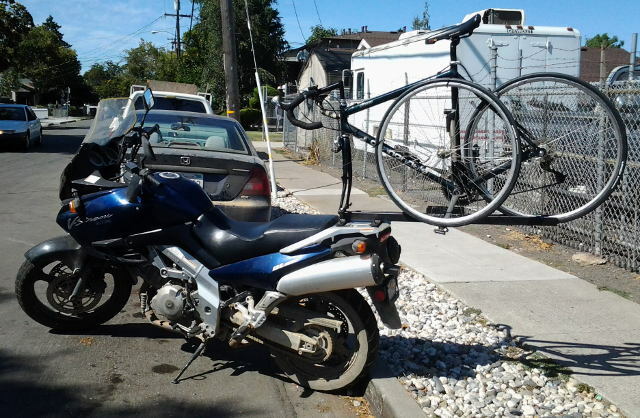 A bike rack! On a motorcycle! How cool is that?